Can you believe this hoodie is only a tenner?! It's so comfy with a soft fleece inside and a massive hood which is a bonus for me! I hate jackets or hoodies that have small hoods, its so annoying and impractical. The colour is actually prettier than the pictures show online which is quite rare to be honest - usually the colours aren't as nice as the photos shows as they use editing and studio lights to make it stand out a bit more, but this colour is gorgeous and perfect for spring\summer. Can't go wrong with a pair of beige stilettos can you? I personally love this colour with blue denim but can be worn with black, white, skirts, trousers, dresses.... The list is endless. Great investment for your wardrobe! I was extremely excited when Boohoo approached and asked me if i'd like to take part in the Boohoo X Dress of Month campaign. I obviously said yes as i've been a loyal customer of Boohoo for years now, they've always got the on trend items but for the best price! They've sent this dress to multiple bloggers and asked us to style it however we like. I decided to put my own spin on it, anyone who knows me quite well knows that the grunge/edgy look is my all time favourite. This dress is never something i'd usually opt for when browsing the site but thats the whole point of the campaign. So i decided to go for an edgy festival look - i know coachella has been but we've got loads more festivals coming up. I threw on my timberlands with the black baseball socks as we all like to be comfortable (and dry in scotland) at festivals. I've had this floral crown for a couple of years now and have never had the heart to throw it away. I love it and i think because its black, it's easier to wear and doesn't really go out of fashion like all the coloured ones. I got mine off eBay which i linked below the photos but i've linked a similar in the shop the look section below also. Like i said before, this dress is never something i'd choose myself but i actually really like it on. I really wish i had it for my holiday as i think this would be a great summer dress too with sandals and loads of jewellery. It's so loose and comfortable that its perfect for the warmer weather too! Make sure to check out Boohoo's new in dresses as they've got so much to cater for everyone! MONTENEGRO | Visiting Kotor & what i wore on holiday..
As many of you are probably aware from the photos plastered all over my Instagram, I managed to persuade my boyfriend to visit Montenegro with me. It's a place that kept popping up from time to time and because the pictures looked so beautiful and i'd not heard of anyone i know visiting, i really got it into my head that i wanted to go. My 2016 new years resolution was to visit at least 2 new places every year and i'm someone who likes to try something new, I don't want to go to the same holiday destinations you hear people going on every year - Tenerife, Prague, Dubai (Although i do really want to visit Dubai to see what its all about but i've decided to push it back) I want to try new places and experience different cultures. I'm not really big on visiting the Americas apart from Cuba, i'd like to try Jamaica and Barbados too as my boyfriend is half Jamaican. But i really want to visit most of Asia. 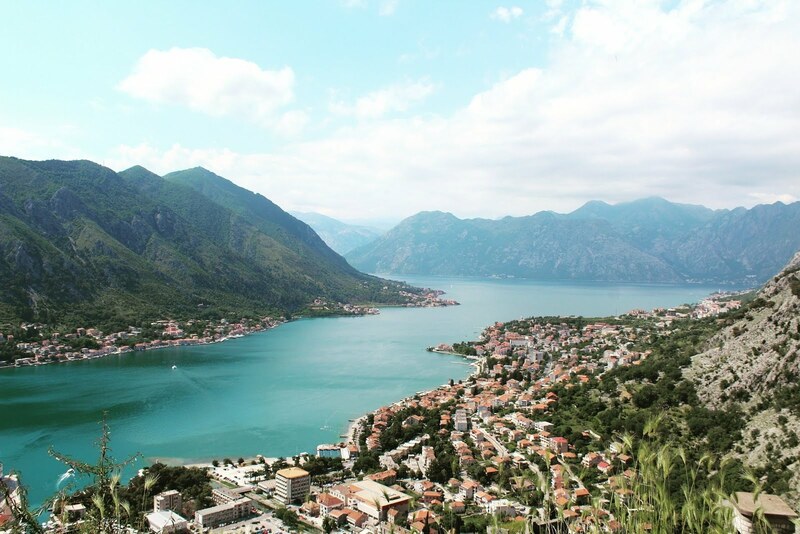 There was only 2 slight negatives about Montenegro - the locals aren't really used to tourists just yet and there was quite an awkward language barrier, but at the end of the day, we are visiting their country, so why should we expect them to speak english to us? The food wasn't the best either - i think there was 2 nights we really enjoyed our dinner, the further you get into town the better the selection of food. It's also very meaty, especially pork, so not the best for Vegetarians and a lot of countries that don't eat pork - my boyfriend doesn't eat pork and to be honest i'm not a fan of bacon, ham or chorizo either. However, this will be a massive bonus for all you meat lovers! BUT the views, nature and weather completely out weighed all the cons. It averaged about 26/27 degrees when we were there, which is plenty for me! The old town was beautiful and the mountains surrounding the whole town of Kotor was incredible. The tough climb to the top of the mountain was totally worth it! Walking up the mountain to San Giovanni's castle - 1350 stairs in scorching weather! Overall, we had a great time! Thinking to go back in a few years once i've visited a few more places and will probably visit either Budva or Podgorica this time. 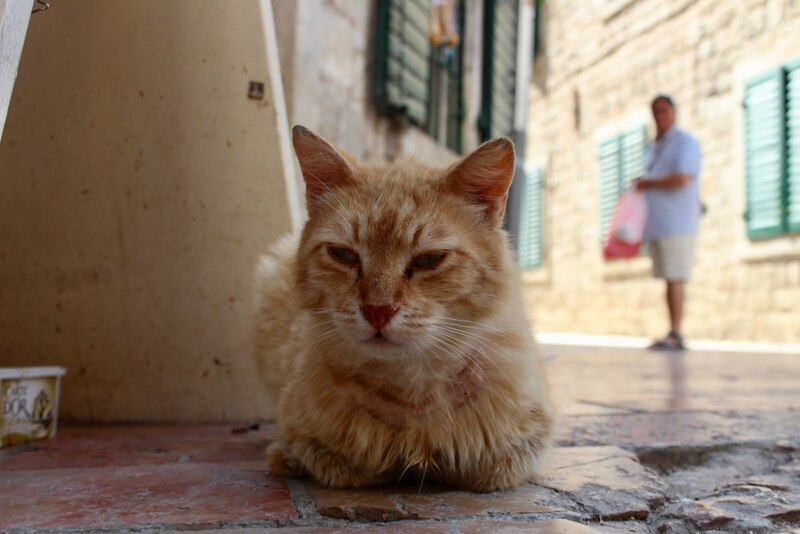 I think Budva is more touristy with beach parties etc where as Kotor is more of a beautifulquiet old town which is exactly what i was looking for.... Thanks Montenegro, was a pleasure!